If you’ve seen it on social media you would know, as this new arrival is the ideal place for picture taking, food styling and daytime lifestyle. It does indeed have a fresh look and feel and despite it’s size, and it does have a lot to offer. 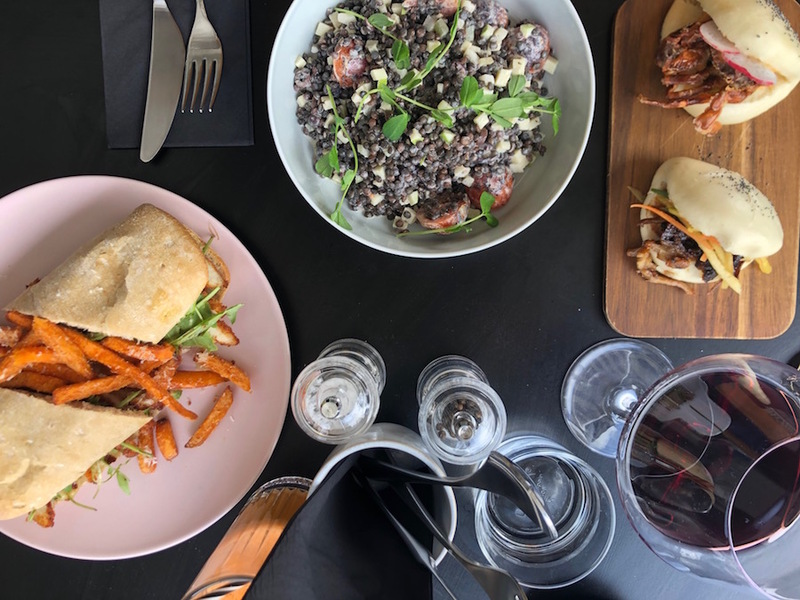 We went for a light lunch, and as it’s located right in the centre of Nicosia it made it an easy choice. Although it looks like they make a decent brunch we went for the lunch options starving as we were. Apart from healthy breakfast options like the Acai bowl, which looked attractive and a classic porridge there were also the “Eggies”, breakfast options with eggs. There’s also selection of salads. 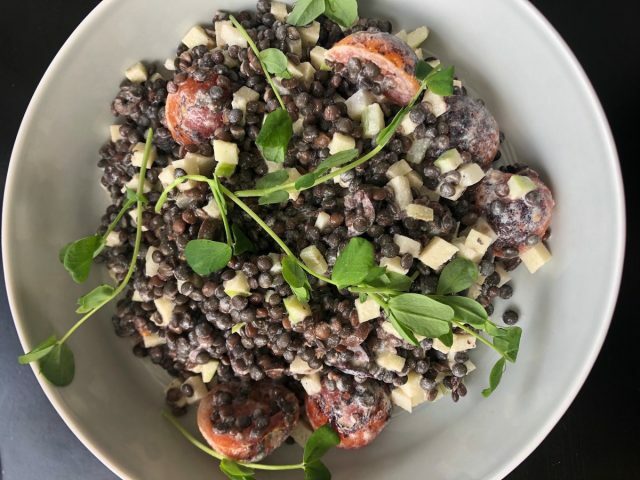 I was in between the Chicken salad with dill, parmesan and a ginger dressing but went for the Earthy salad with beluga lentils, green apple, fennel, celery, olives and a home-made tahini dressing. I get the feeling that Bao Buns may be the new fruit yogurt as they serve them wherever I go lately. Nevertheless, we wanted to try them as well, while my proud Cypriot friend tried the breaded chicken in Ciabatta bread. My salad was quite refreshing and light. 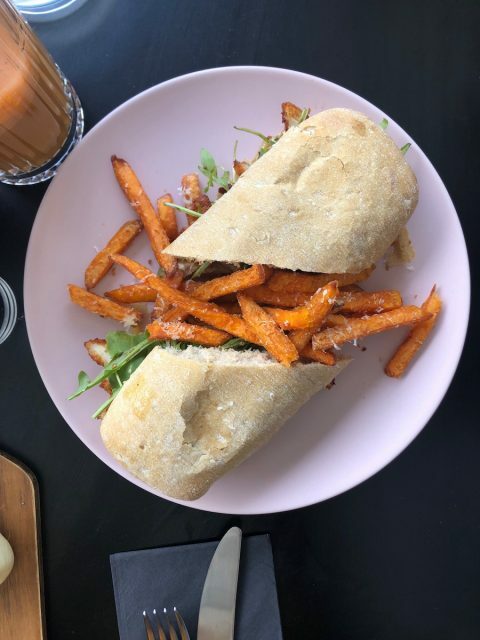 My proud Cypriot friend’s sandwich served with sweet potatoes in a beautiful a pink plate was well-prepared. Both dishes were tasty but I did think they lacked a flavour kick, something to say “WOW for. 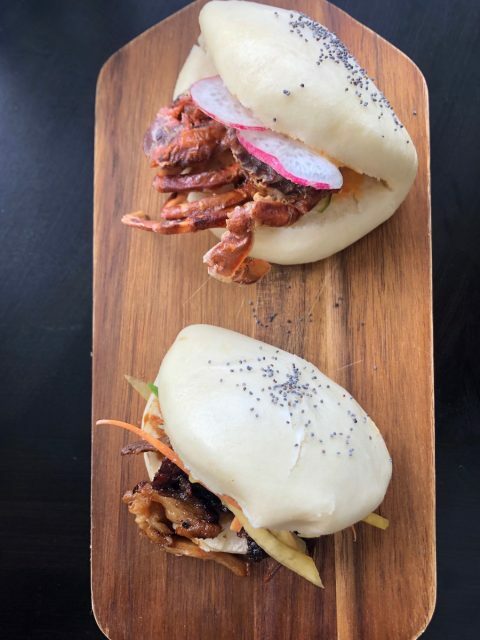 We also had a Bao Bun each: one with fried crab and one with roasted duck – my favourite option out of the 3. Worth mentioning is that the breakfast dishes looked beautiful and I would like to return for those.